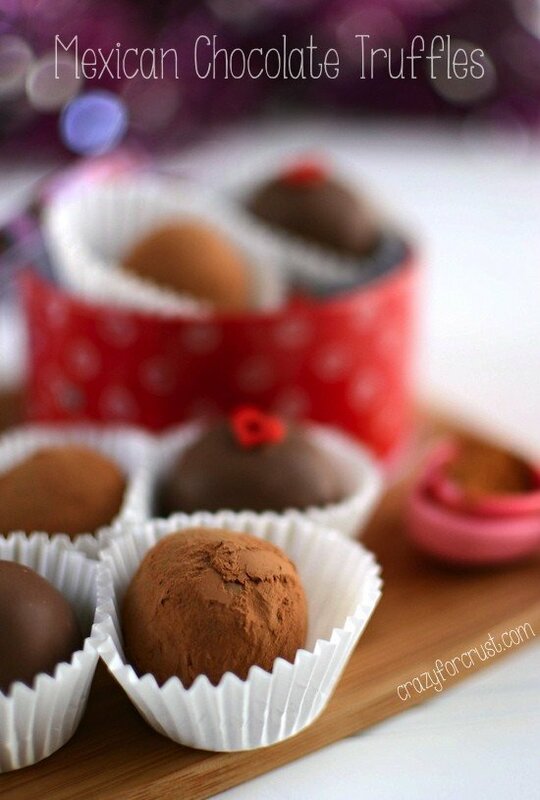 Mexican Chocolate Truffles: perfect for Christmas, Valentine’s Day…or a random Sunday. So I know there are hearts on these candies. So what, right? You can put hearts on Christmas candy. At least that’s what I do. By Christmas, as a food blogger, I’ve moved onto Valentine’s Day. No one gets red and green sprinkles in my Christmas boxes. Nope, they get red and pink, and hearts. 1. I needed a post for today. It’s been a hard month! 2. You need one more chocolate recipe for Christmas. 3. You can pin these for Valentine’s Day now, and be totally prepared later. 4. They are super easy to make, so you can print this recipe now, and have them on your platters when you hand them out tomorrow! See? 4 reasons why you need these, hearts and all! I love truffles. They are a total guilty indulgence. I eat way too many of them, and then I run around with a chocolate caffeine induced high, hands jittery, until I crash from the sugar and then eat more. Repeat. Please tell me I’m not the only one that does that? Or…maybe just nod and say yes, mmkay? 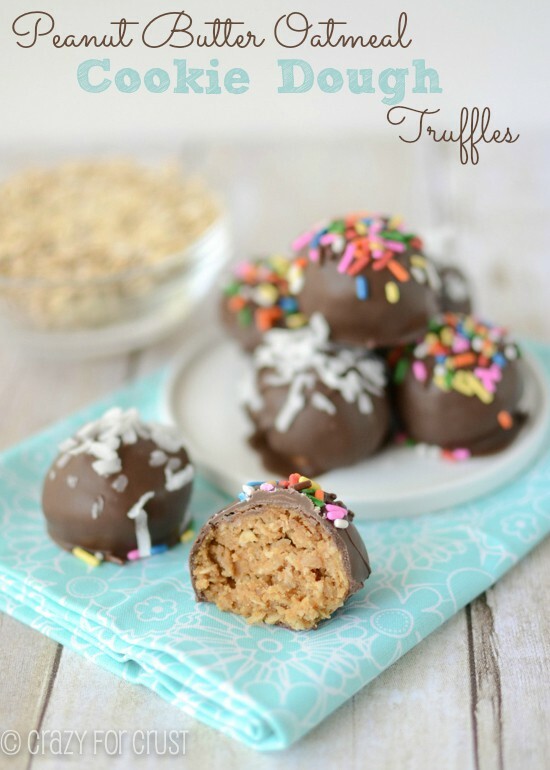 So did you know that truffles are suuuuuuuper easy to make? Just a few ingredients mix to form the rich chocolate center: chocolate, heavy cream, and vanilla. That’s your basic chocolate truffle. The center is also called ganache. As the chocolate hardens, the mixture sets into a rich mixture that is perfect for making truffles. 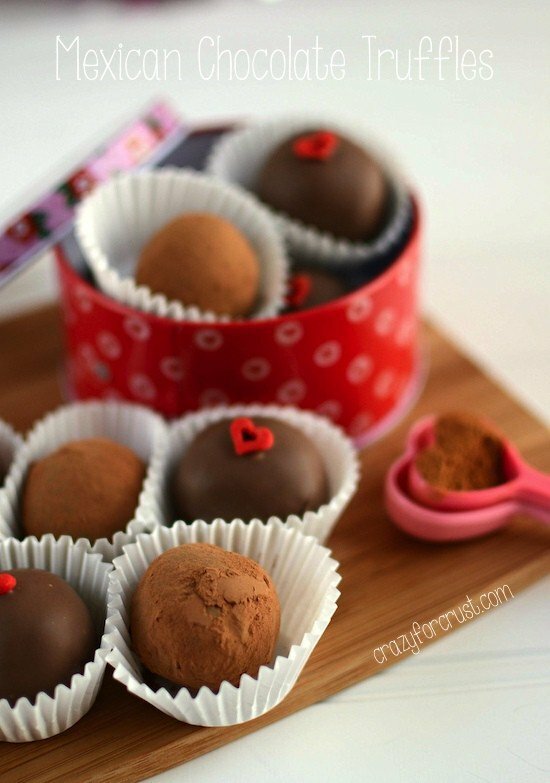 These truffles have two secret ingredients: cinnamon and cayenne pepper. I’ve always heard about adding cayenne to chocolate and how good it is. I decided it was time to finally try it and ohmigosh, it was so good. The cayenne is not spicy, but it adds a little heat. It’s not like eating chili; this is still a chocolate truffle, with just a little kick. Don’t be afraid of the spice. It’s really so, so good! 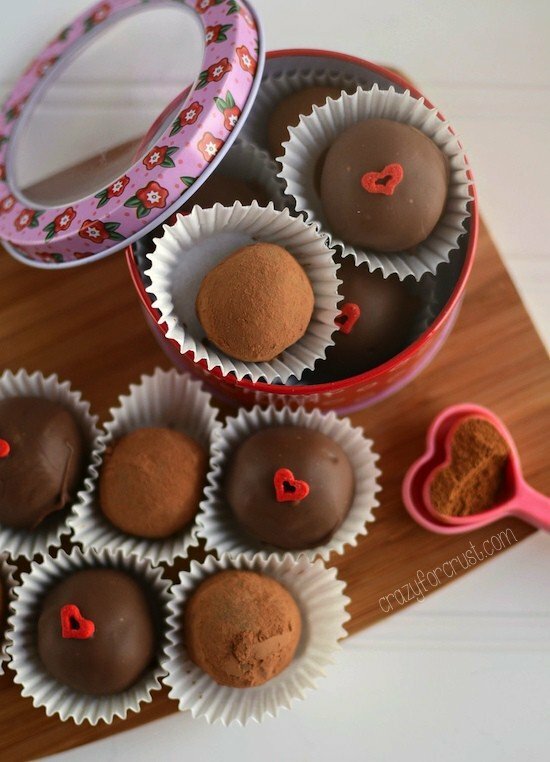 Truffles have so many options for coating: cocoa, powdered sugar, candy melts, sprinkles. Use what you have on hand, and what you like best! And, if you must, you can use Christmas sprinkles. Break or cut chocolate into pieces. Place heavy cream in a small saucepan and heat just until it bubbles. Pour over chocolate. Stir until all chocolate is melted and mixture is smooth. (If it is cold in your house and your chocolate doesn’t want to melt all the way you can put it in the microwave in 10 second increments to aid in melting.) Stir in vanilla, cinnamon, and cayenne. Chill mixture for at least 2 hours. You can also let it sit overnight. Use a cookie scoop (1 or 2 tablespoon) to scoop balls of truffle. Roll into uniform balls and place on a wax paper lined cookie sheet. Melt chocolate melts according to package directions. 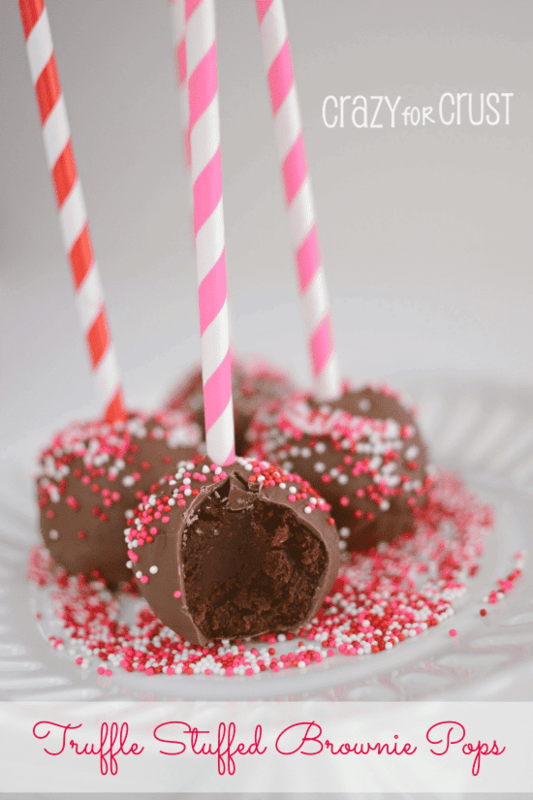 Dip truffles in chocolate and top with sprinkles, if desired. Or, roll them in cocoa, powdered sugar, or sprinkles. 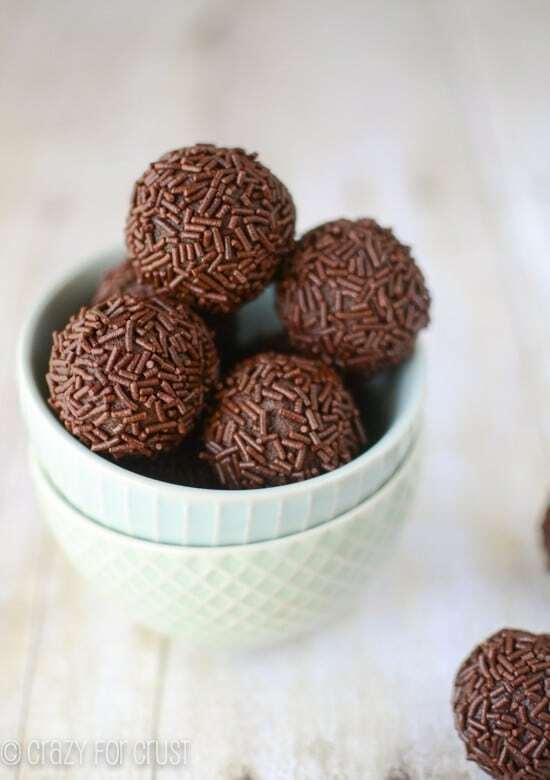 Pingback: Chocolate Truffle Time | Life, Food and Me! Hi!! 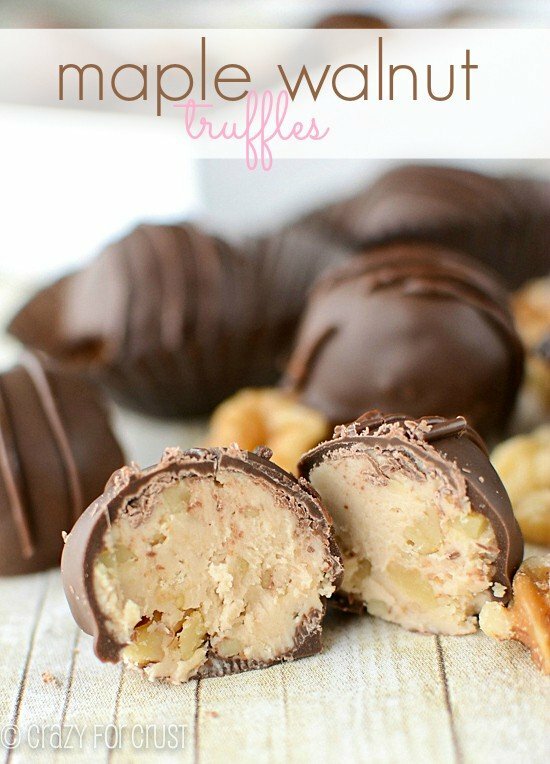 These look sooo sinful! Thank you Doreen! They’re SO good. Oh I forgot to ask you, can I use dark chocolate instead of semi sweet? Cause my husband loves anything with dark chocolate. Thanks. Yes! You can use your favorite darkness. 🙂 Enjoy! In the truffle, no. For the coating, the chocolate chips won’t give a shine and they don’t dry as hard, so it may come off in your hands more than baking chocolate. Enjoy! Made this. It came out great. But I added 1 tsp. of Cayenne pepper. My people like it spicy. Thanks for sharing your recipe.